We offer a flush and fluid change transmission service. Your transmission is a vital component in your vehicle- working hard to keep it going. Just as vital, are the fluids that lubricate all the moving mechanisms of the transmission. These fluids can become contaminated over time, which can lead to an inability to keep your transmission performing optimally. Vehicle manufacturers are aware of this, and advise a transmission flush and fluid change at specific intervals, depending on your vehicle. This maintenance will help your vehicle to run better and longer. Bring your vehicle in to Klahanie Service Center for a full transmission service or any other auto service, and we will keep your vehicle running like new. At Klahanie Service Center, we will abide by the manufacturer’s recommendation for your vehicle, whether it’s every 30K, 48K or 100K miles. Included in your transmission service, we will also do a courtesy inspection of your vehicle’s most vital operating systems. 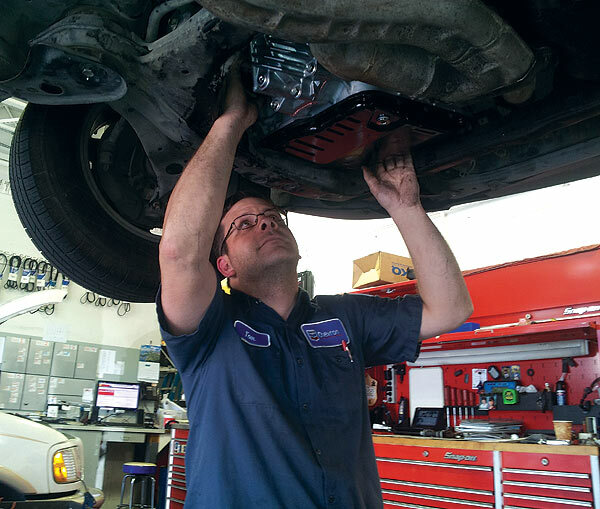 We will do our best to keep your vehicle running newer and longer.